WBS aka work breakdown structure is a detailed tree structure of various tasks and deliverables that need to be performed in order to complete a project. The primary target of WBS is to identify the tasks that have to be done in a project. WBS is the foundation of project planning alongside Gannt charts. These two tools are probably the most common project management instruments. Here are five of the best tools for creating WBS together with their sets of features. 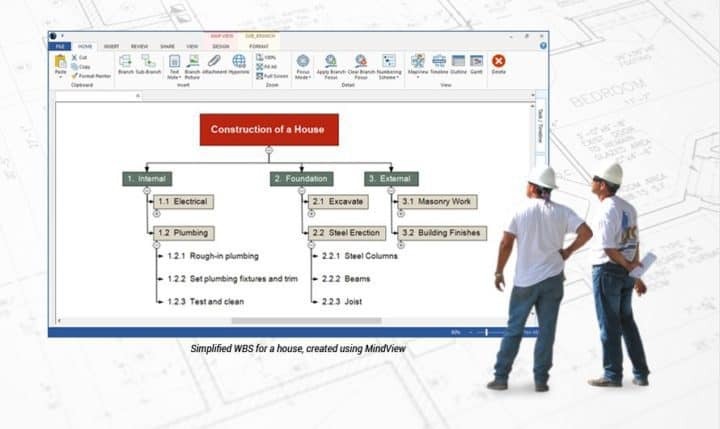 Edraw Max provides a really innovative approach to create, edit and modify WBS diagrams graphically. It comes with lots of cutting-edge tools for advanced drawings. Using this software, you will be able to create WBS effortlessly. You will be able to enjoy a high level and detailed display of all your projects. You will get the chance to present an unlimited number of fields. The software provides the option of mass printouts to any number of pages using any printer. You can automatically increase the size of the WBS chart. You can save the WBS chart to various formats, and they can be any size and contain any number of tasks. Edraw Max is ideal not only for professional-looking flowcharts, mind maps, organizational charts but also for network diagrams, floor plans, fashion designs, electrical diagrams, ULM diagrams and more. 2-plan Desktop is able to simplify the work breakdown structure creation process via its free graphical WBS tool. The program comes with smooth animation in order to emphasize the relation of small parts to the whole. You will be able to control your work packages graphically. You can change the screen layout and more features with this tool really effortlessly. 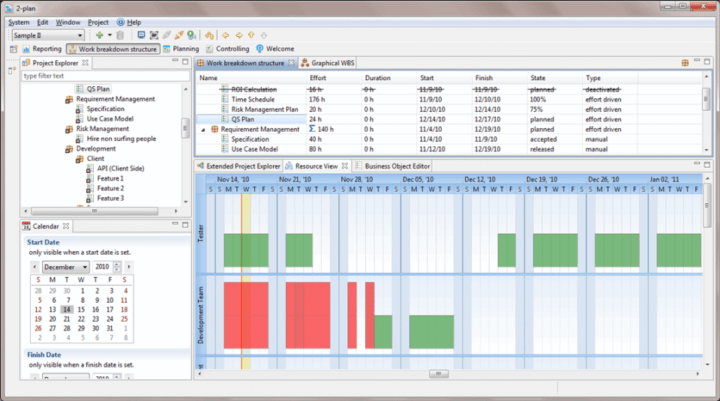 2-plan Desktop’s free WBS will allow you to quickly design the scope of all your projects. If you use 2-plan Desktop’s innovative project breakdown structure tool, you will be able to view project components such as teams, WBS, milestones, project mid maps and materials. The Project Explorer lets you drill-down on your projects and see what each component includes. Download 2-plan Desktop for free from its official website to check out more features included in this useful tool. 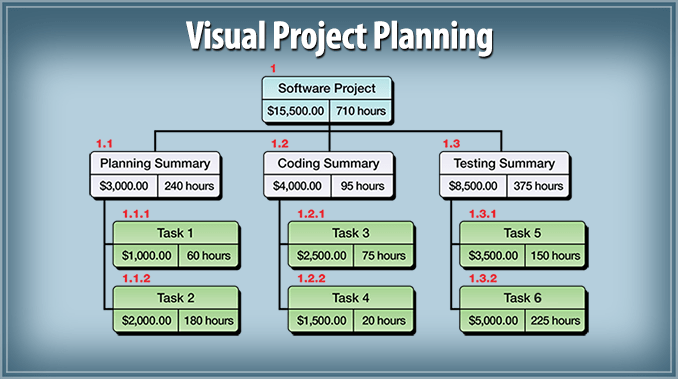 This is a Project Management software with WBS charts for planning, and network charts for scheduling. You will be able to find all the necessary tools to manage and plan your projects. You can use the UBS chart in WBS Schedule Pro in order to brainstorm projects by breaking them down into manageable pieces. Using a Top Down approach to create projects allows a more manageable plan. Using this tool, you will be able to define the dependencies in your project easily. You can click and drag in order to create links. 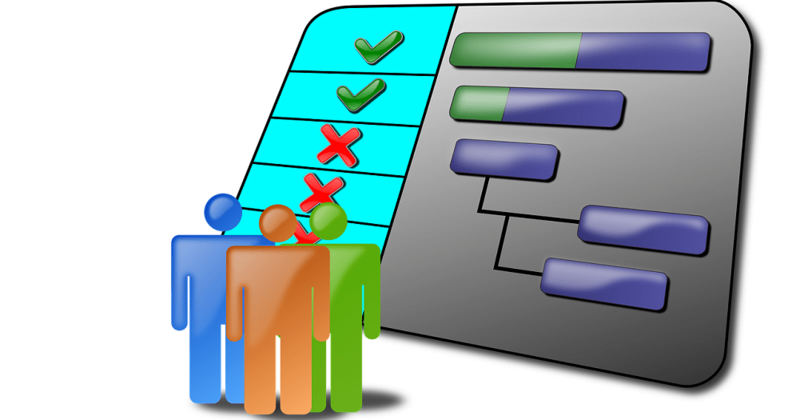 The Gantt Charts in the WBS Schedule Pro are really easy to use, and they’re loaded with features. Read more about the Web Schedule Pro and watch a video about this tool on its official website. 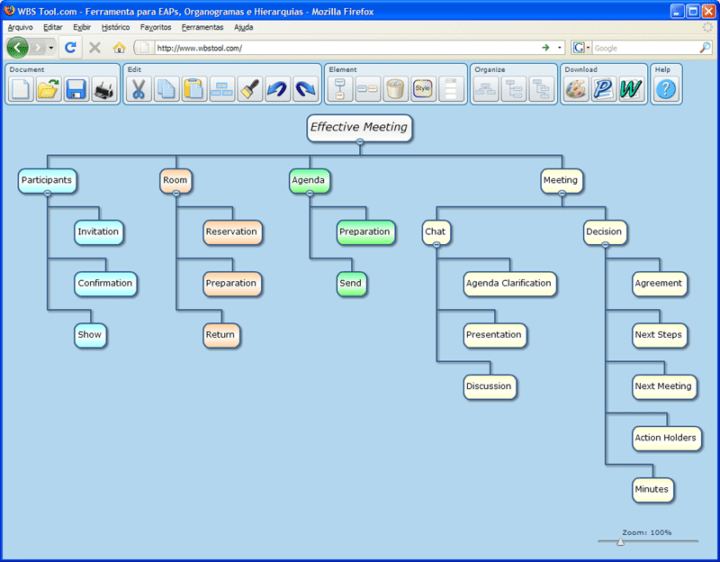 WBS Tool is a free web program that allows you to build WBS, WBS charts, organograms and more types of hierarchies. The WBS Tool will work with any web browser if you have the Adobe Flash plug-in installed. Using this tool, you can build WBS charts effortlessly. You can use the links displayed on the official website, and you can also register to have your own account. Download the WBS Tool and check out how it works for your projects. MindWiev is an efficient way of brainstorming, developing and structuring ideas visually. This tool allows you to add calculation fields to track cost or budget. The Gannt functionality will allow you to quickly create a task list. A WBS will show you what the various elements of the project are. You can find out how the necessary work is distributed between the elements of your project. On the official webpage of the software, you will find explanations on how to create a WBS using this tool. You will be able to learn how this software will help your organization and execution of a project. You can download this WBS Software for free from the official website. These are the best tools for creating WBS and Gannt functionalities that you can currently find on the market. Head over to their websites and check out their complete sets of features before you decide which one is the best choice for your needs.